Important: We wish to provide background on the issue of heart disease here and a REAL solution, please DO read on if you want the ‘whole story’ – BUT – if you are a “bottom line” kind of person, you can SCROLL DOWN to view a video highlighting COMPELLING RESEARCH concerning Arginine (and why we ALL need it) OR click here to review the Arginine product we recommend. While pharmaceuticals are a valuable tool given certain circumstances, I’m sure you would agree that remaining healthy is THE key so you are never faced with a NEED to take prescription drugs. The key question we then face is “How do I maximize my health, and minimize the chances I will ever need to take prescription meds for heart disease (or anything else for that matter)?” Why does ANY of this matter? Simple… Heart Disease (and stroke) is the #1 Killer in our society today! Think about your friends and family – odds are YOU know someone personally (or you yourself) have been “touched” by this silent killer. You see, I love the Kenny Chesney song that says “everybody wants to go to heaven, just not right now!” (ok, ok, i’m paraphrasing it…gimme a break!) So, lets work on that premise – and lets also agree that for the time we are “here” (alive on this planet), it would be better to be HEALTHY…right? Of course this begins with good eating habits and regular exercise. But, thanks to “modern science” we now know there are supplements we can take that will increase the odds of living life HEALTHY for the vast majority of our lives. Further, some of these “potions” can even reverse certain conditions. I realize that the moment one gets anywhere near claims about health, the red flags go up with most people. Me too. 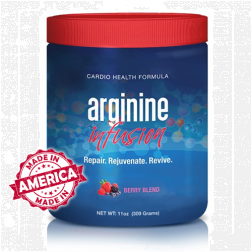 I can’t begin to tell you how skeptical I was introduced to Arginine (sometimes referred to as nitric oxide) and Arginine Infusion … **Arginine which shows great promise in the reduction in the incidence of heart disease**. Honestly, it took hours of discussion and testimonials from my own brother (who had seen some friends have their first heart attacks) and discovered Arginine Infusion for himself, and then a 3 hour face to face meeting with the CEO (of Good Life), Steven Smith before I was willing to even TRY it. What I learned from my meeting with Steven is he is genuinely different from other “nutritional MLM” companies and entrepreneurs. Steven does his own design, manufacture and production of his products – all of them. He is knowledgeable about health and nutrition and genuinely cares to make “best in class” products. Arginine Infusion, “frankly is something that EVERYONE north of 40 should be taking.” Why do I make this bold statement? 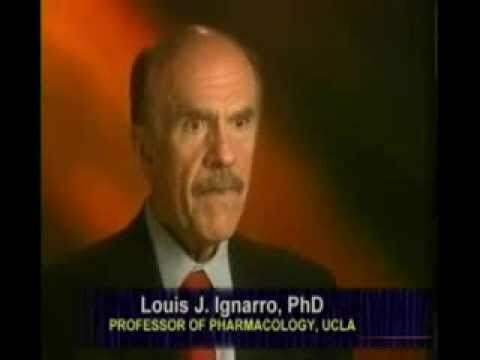 I will let the research speak for itself – watch this video… Briefly, Ignarro found why arginine lowers your risk of heart attack and stroke…and since heart disease & stroke are the #1 killers in America today… to me it just made sense to become a user of Arginine Infusion. Compare its ingredients here to other arginine products – and there are plenty of them. So, what makes Arginine Infusion different? Does it work? In a word – Yes. 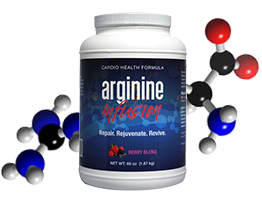 You can obtain Arginine Infusion by clicking HERE or the banner below and then the “buy now” button located mid-page. Feel free to contact me and I will share a personal testimonial. My contact info is at the top of this page AND if you like this – please pass it along or share it or “like” it. Thanks! © 2019 AlanSills.com. Theme by Solostream.